Sponsoring major Chamber events is an excellent way to reach new customers, promote your business, support the organization and create awareness about your products and services. There are a variety of sponsorship levels available depending on the event or program. See details below. To secure a sponsor option or for a list of sponsor benefits, please contact Kelly Ashcraft at (585) 786-0307 or email info@wycochamber.org. 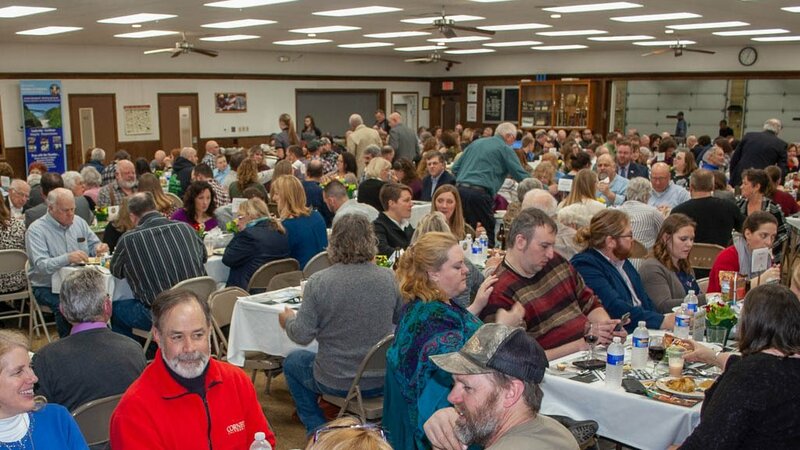 Held annually in March, in conjunction with Wyoming County Soil & Water and Cornell Cooperative Extension, this sell out event attracts 350 people and provides a unique opportunity to celebrate and recognize the importance of the industry. $150 Event Sponsor—Company logo/photo and information included in event slideshow, promotion in event program and on all event signage, on the Chamber website, and in all event related press releases. (Multiple available, Cost is $125 if combined with another Ag sponsorship). Annually held in May, this is the premier business event in Wyoming County attracting nearly 200 businesses & leaders at the event. Companies are recognized with the Chamber’s Annual Awards at the event. $500 Presenting Sponsor—Event promoted as being exclusively presented by your company. Sponsorship includes 4 complimentary tickets to the event, the opportunity to distribute company information or handouts at the event, preferred seating and all the benefits of an event sponsor. $150 Event Sponsor—Event sponsors enjoy company logo, photo and information included in event slideshow, promotion in event program and on all event signage, name recognition in the Chamber newsletter, on the Chamber website, in all event related press releases, and recognition at the event (Multiple sponsorships are available). Held in September, in partnership with Burley’s Berries & Blooms, this unique dining experience showcases all the best of Wyoming County agriculture producers have to offer. A celebration of Wyoming County’s #1 industry. Co-presented along with Wyoming County Farm Bureau, Soil & Water, and Farm Service Agency. Nearly 4,000 people take part in this family friendly day exploring and experiencing agriculture on a working farm.